At Joe Davis Autosport in Perkasie, PA we specialize in exceptional Subaru repairs and maintenance. Your Subaru is a Japanese import that’s very popular because of its dependable performance. 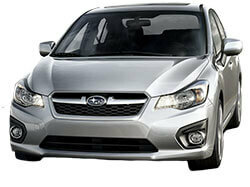 We want to maintain all of your the qualities for which you invested in your Subaru. Our expert team is well-trained and very experienced in providing all Subaru services. Since we are your Subaru specialists you don’t have to worry about us wasting any of your time or money. We get all repairs correct and complete the first time. Joe Davis Autosport’s advanced tools and equipment allow us to diagnose with precision and put you on the correct path to repairs. We can develop a maintenance schedule that will be suited to your specific needs. Your driving habits, the age of your car, and the manufacturer’s recommendations will determine the best plan of action for your Subaru’s service. Sometimes, even normal wear-and-tear will lead to an expensive repair. We perform all of the services to help you avoid costly repairs, but if you ever find your Subaru in need, you can always trust Joe Davis Autosport. Any repairs and maintenance we perform for your Subaru is done with state-of-the-art equipment. If your Subaru’s engine needs repair or maintenance, we’re your shop. Our qualified Subaru techs stand behind all of our repairs and services with our 2 Year / 24,000 Mile Warranty on all parts and services. We specialize in worry-free services, so you have nothing to lose by bringing your Subaru’s services to us. In fact, that is why we offer a free shuttle service as well as loaner cars for your convenience. Call us today so we can get you started on a path to consistent quality service. We’ve made our online scheduling system quick and easy!